Nick Statt for The Verge: Kindred, a San Francisco-based robotics and artificial intelligence startup, is bringing its human-assisted robotic arms to a big-name retailer. For the last six weeks, Kindred’s new production model robots, now called Kindred Sort, have been operating in a pilot program at a Gap warehouse, with plans to expand the fleet of robots to help the retailer’s full fulfillment network down the line. 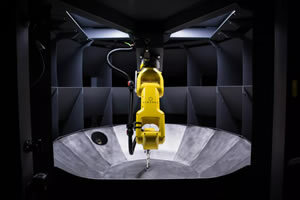 These robots, guided by custom software but built by industrial robotics manufacturer Fanuc, are all operated with a blend of AI-assisted automation and human piloting. A group of six pilots now remotely operate the arms from Kindred’s new piloting center in Toronto. “Our whole premise is that we want to be in a physical body, interacting with the world to learn. We want to provide the intelligence from the cloud, and then provide human intelligence when needed remotely,” George Babu, Kindred’s chief product officer, tells me in an interview.